Convey your deepest love for your dear ones this Raksha Bandhan by ordering this Fabulous Auspicious Rakhi packed with your good wishes along with a free Rakhi, Roli Tilak and Chawal. This is a Nicely Gift Wrapped Auspicious Rakhi for your brother. The Design may alter a little. 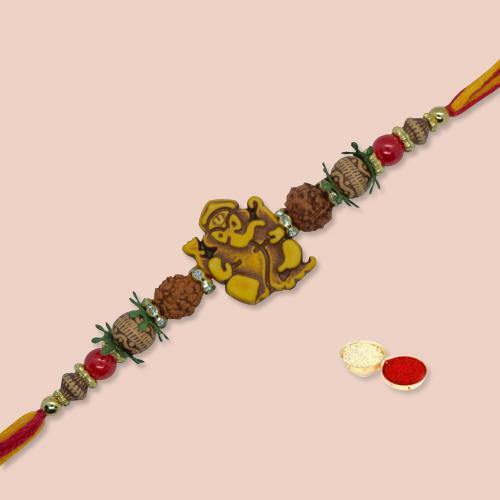 This is a Nicely Gift Wrapped Auspicious Rakhi for your brother. There may be various Rakhi Design.